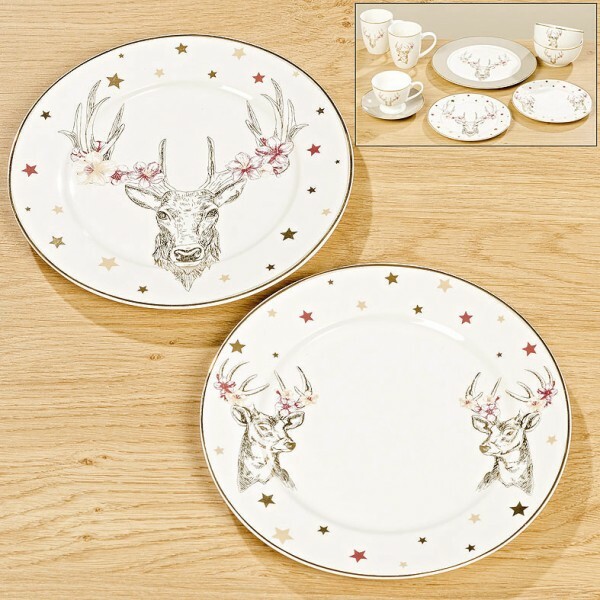 Product information "Stag Bone China Plate"
Fine Bone China Stag Plate in two gorgeous designs. Each design displays a Stag with flowers in its Antlers. A pretty gold and rose gold star pattern adornes the rim of the plate and each plate is encased by a gold trim. These are a perfect addition to any Festive table or just a decedant way to have your favourite sweet treat. Diameter 19cm and Dishwasher safe. Related links to "Stag Bone China Plate"
Customer feedback for "Stag Bone China Plate"